Making these velvet covered easter egg started because I had so many Easter eggs floating around the office. I also had some velvet scrap material left over from making our velvet bed scarves. I’m pretty sure I’ve made fabric pumpkins before so I decided I could make fabric covered eggs too. These were super easy, besides the fact that I didn’t have all the right materials that I wanted. I’m going to let you know How to Make Velvet Easter Eggs with all the right items you’ll need to make these perfect. As you can see that my velvet easter eggs are a bit bunchy and thick. They don’t have to be with the right velvet. Like I said above I just used some scrap velvet material I had laying around. The thing is, you will want stretchy velvet so the eggs look less bulky and more smooth, plus it will be easier to work with. If you’re like me and are using what you’ve got, it will still turn out fine! Stretchy Velvet– You can find many different colors on Amazon. Hot Glue Gun– You’ll need this if you want to make the Easter egg ornaments. To begin our Easter egg making we grabbed a paper plate to use as a template. I just roughly cut around the edge of the plate with my rotary cutter. 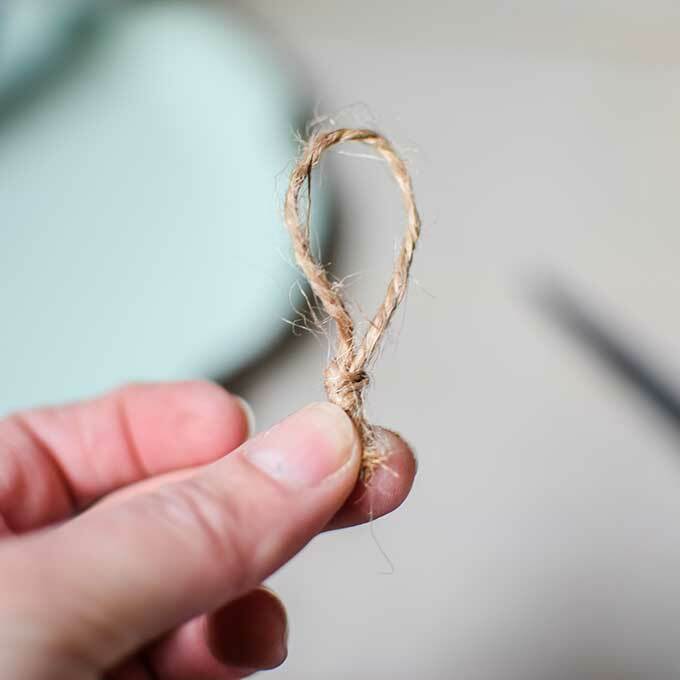 This cut doesn’t have to be perfect, because you’ll be cutting it off in the end. 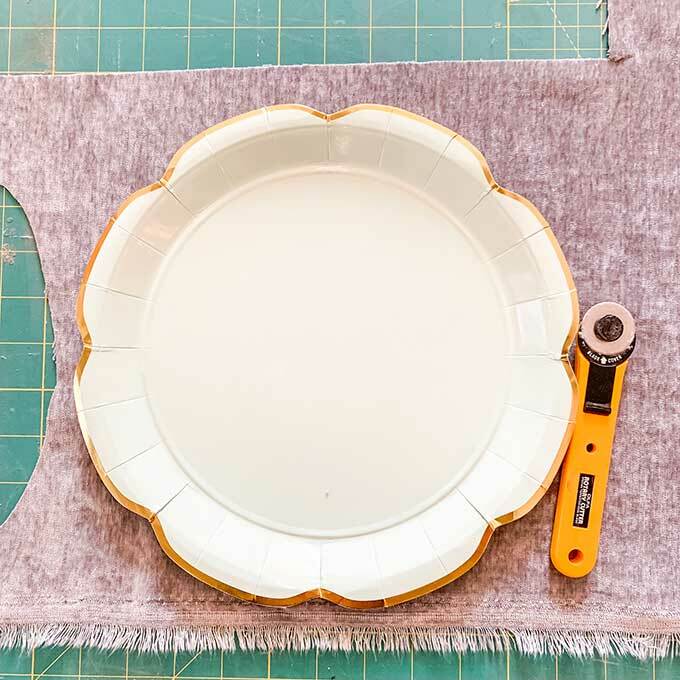 Once you cut around your plate you will have a circle piece of velvet. This is where it would have been nice to have the stretch velvet. To wrap the egg in velvet, we grabbed our circle piece of velvet and placed the narrow end of the egg in the middle. You’ll want to pull the fabric all around to the bottom of the egg. Then wrap your string around the bunch of fabric and tie. You could also use a rubber band for this step. With stretch velvet this would be easier, as it is thinner and easy to adjust. When doing this before we tied off the bottom we would adjust the gathering of the fabric. Once you tie off the bottom you can then cut all the excess fabric. Please note that using fresh or hard boiled eggs would not be advisable. You can use any type of eggs you want. I just used some colorful eggs that I just had laying around. The dollar store has cheap plastic eggs if you want to try those. 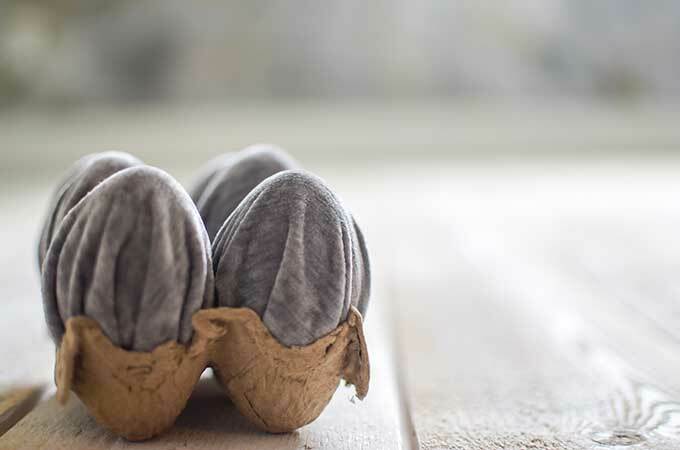 Velvet Easter eggs are so easy to use throughout your home decor. They are not like any normal Easter egg, they have a great look to them! 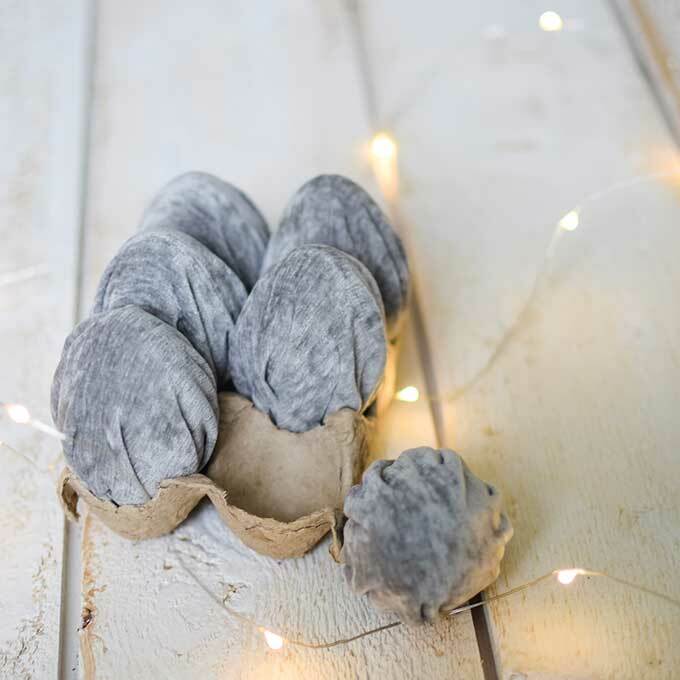 You can place them in an egg carton for a fun twist or put them in a cute bowl or tray for your Easter decor. But keep on reading to find out what I turned these into. 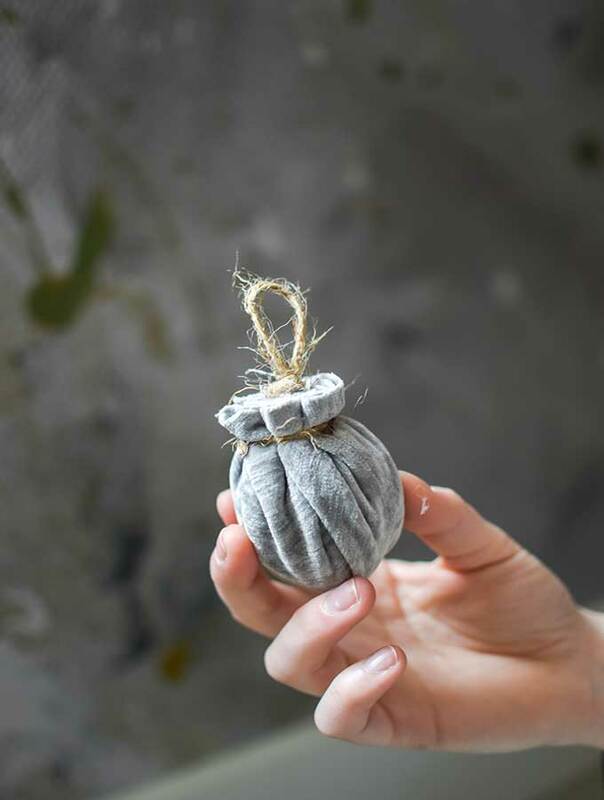 Well here’s a few more steps if you want to make some shabby chic velvet eggs. Since velvet eggs were on my mind, I was wondering what else I could do with them. If you add a loop to your eggs, you can hang from anywhere you’d like. Below I will show you the steps I did when creating my hanging eggs. 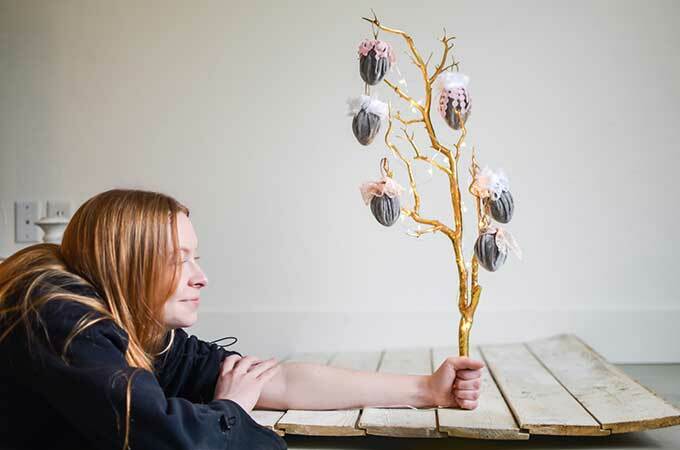 Here we decided to use these velvet eggs to make a Easter egg tree. The only thing I had to do was use the string we used to tie the fabric bunch and made a loop knot. We then glued it to the bottom side of the egg with the excess fabric. Next we started to decorating them with some lace trim we had. This was the fun part because you can just get creative and make each egg your own. But I will admit this was a bit harder than we thought. Since you were going to see the part with all the fabric, we had to make sure it got covered well. So there was a lot of glue and making sure the lace covered the right spots. Okay but look at the cute Easter egg tree. 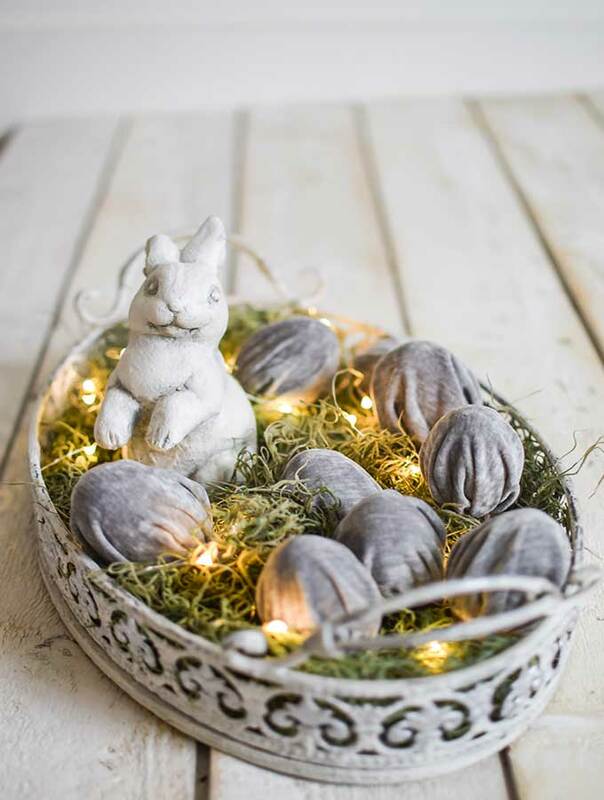 It’s perfect for just that simple touch of Easter decor and not going too overboard. 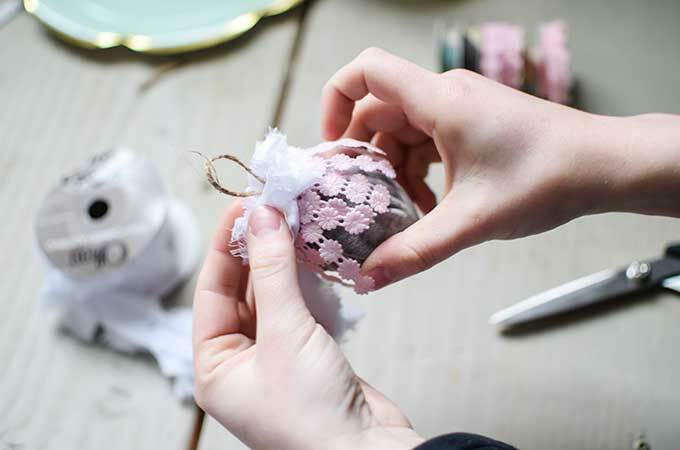 The velvet Easter eggs now have a shabby chic touch with the lace. 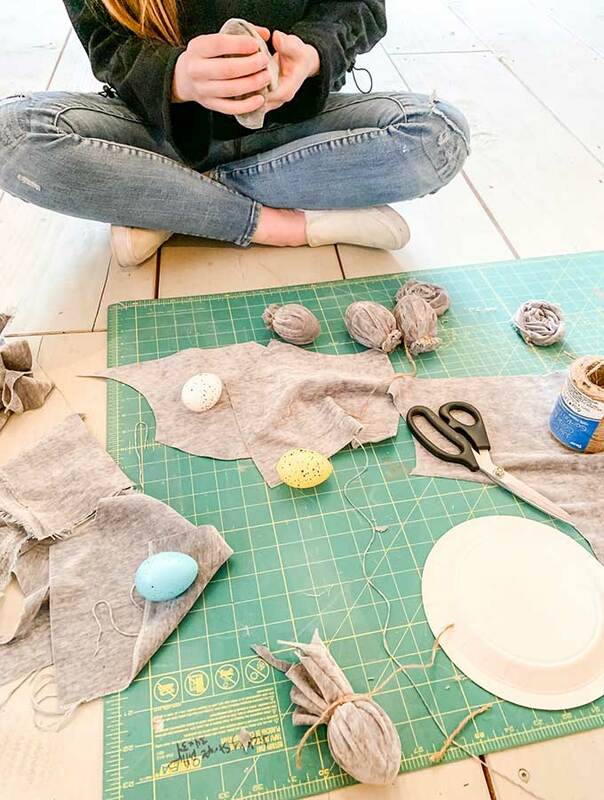 Who knew you could do so much with velvet Easter eggs?! This is a little behind the scenes at Hallstrom Home. To get the perfect picture Claire had to come on in with a little help. We did end up with the perfect picture, but stay tuned because I show you 5 ways on how to style with velvet Easter eggs! So now you can see what a fun project this is but maybe your not up to making a mess and going to the craft store? I found some gorgeous velvet eggs on Etsy that I will link here. We would love for you to follow us on Instagram at HallstromHome for the behind the scenes and all our mess making and then sign up for our once a week emails to stay up to date. We also have an Easter egg cake to show you, it turned out alright. I can say that I am willing to try and fail than to never try at all. Oh I love this idea! On a side note, your photography is spectacular! Thank you Melinda! That made my day! Such a cute and elegant take on Easter eggs! So cute !! Can’t wait to make them. Thanks Gena! Have fun creating! love these! they arent “perfect” which makes them “perfect”!! Just love this idea. It will look awesome in a basket for my Easter centerpiece. Sounds perfect!! Velvet makes everything so elegant. Oh me too Julie! Velvet is so pretty. Easter is such a great time! That’s such a great idea, I would love to see how they turn out! So beautiful!! Definitely going to try making some! Love these, Rhonda! You’re one of the most creative people I know! You truly inspire me! Awh thank you, that made my day!! Love this! Such a creative, original way to do Easter eggs! What a.fun idea, Rhonda! I’ve done some with floral paper napkins and like them a lot. I’ll have to try the.fabric! Thanks! That sounds like a lot of fun Connie! They are just darling!! You are so creative Rhonda! Rhonda,, girl you rock !🙌🏻 Keep up the GReat work! I’m so happy that I found this tonight. I’m going to make these tomorrow. Thank you for the great idea and instructions! Why thx Linda! Let me know how this goes, its a lot of fun. 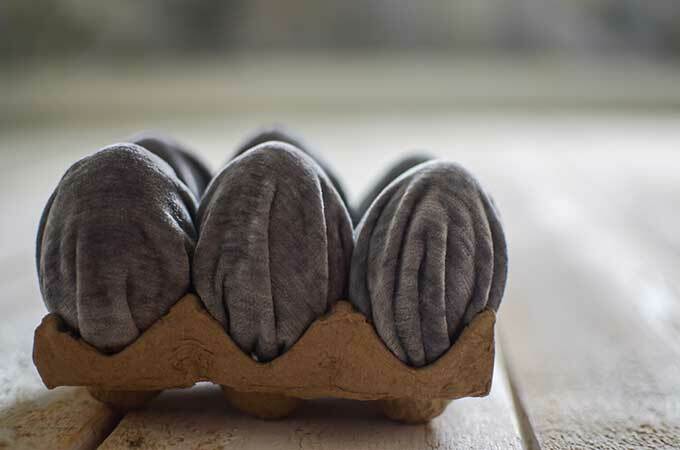 Rhonda, these velvet eggs are gorgeous and so simple! I’m looking forward to making one. Thx for stopping by Amy! Have fun making one!! Rhonda these are so gorgeous and fun!! I think I need to head over to the craft store right now!